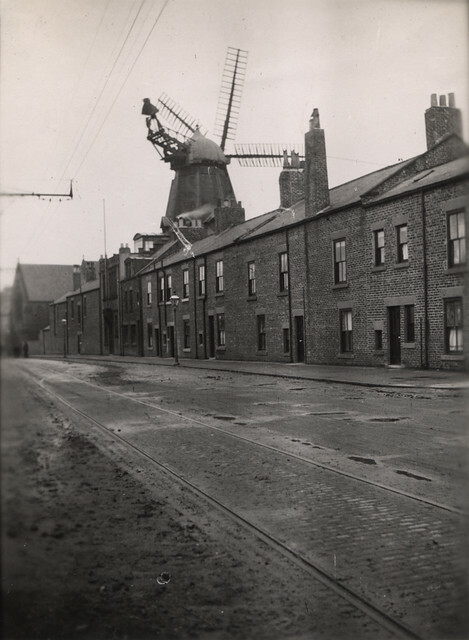 The Chimney Mill on Claremont Road was built in 1782 and was the first 5-sailed smock mill in Britain. 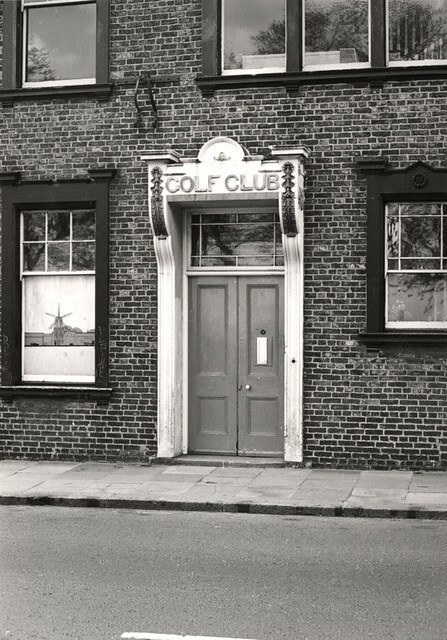 The mill was powered by wind until 1891, and later converted into the clubhouse for Newcastle City Golf Club. 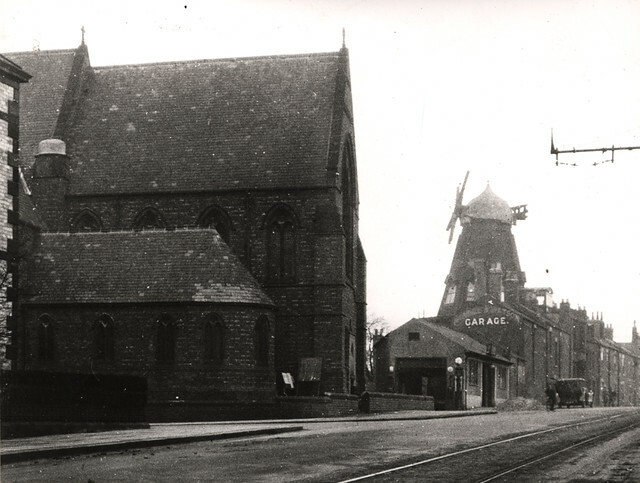 Its sails and were removed in 1924. 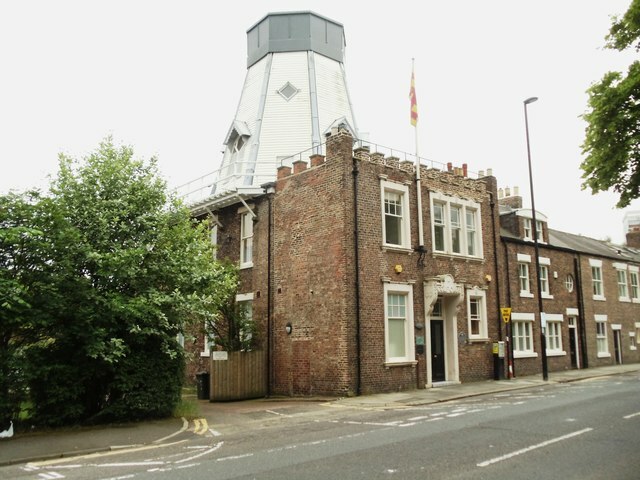 Chimney Mill is a Grade II listed building. 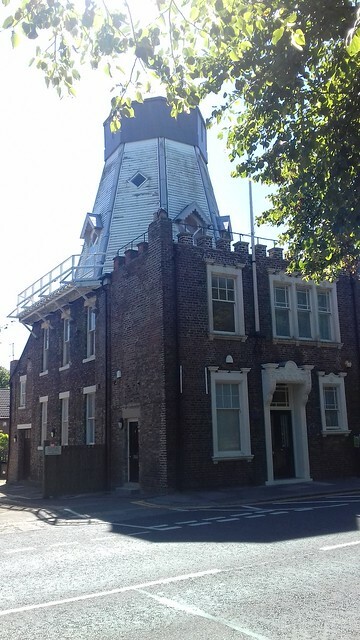 Check out Spital Tongues History Society for more info. 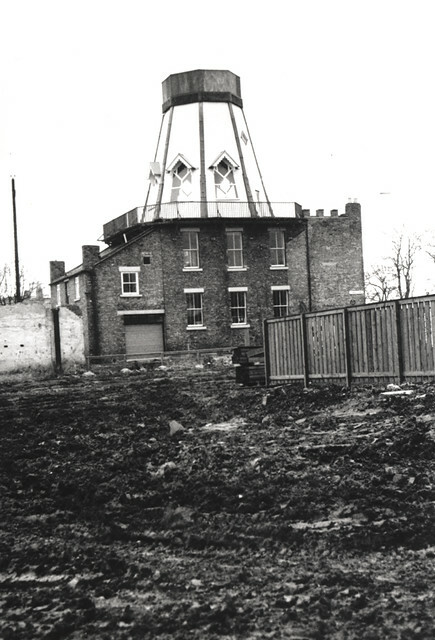 The Chimney Mill was constructed in 1782 in Claremont Road, replacing a previous windmill on the site. 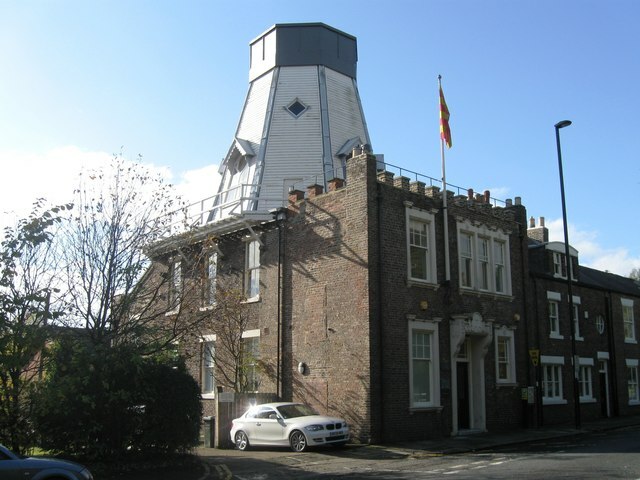 Grade II listed, it is significant on a number of levels – as the only surviving smock mill in the region; as the first 5-sailed smock mill in Britain; and for being designed by the civil engineer John Smeaton, the man responsible for the third Eddystone Lighthouse (later dismantled and rebuilt as Smeaton's Tower on Plymouth Hoe). 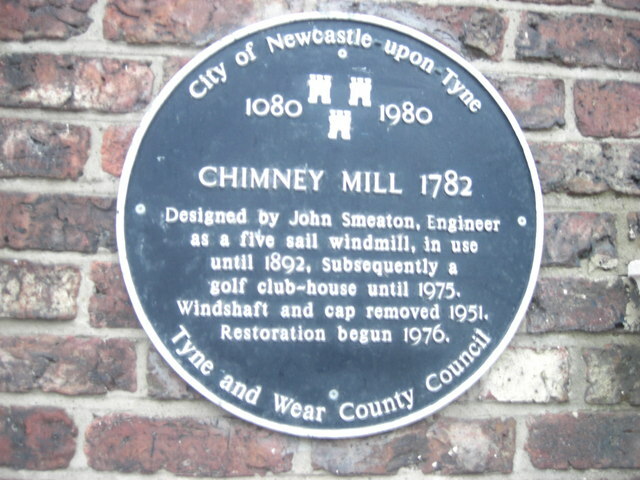 The Chimney Mill was powered by wind until 1891, decommissioned in 1892 and later converted into the clubhouse for Newcastle City Golf Club. 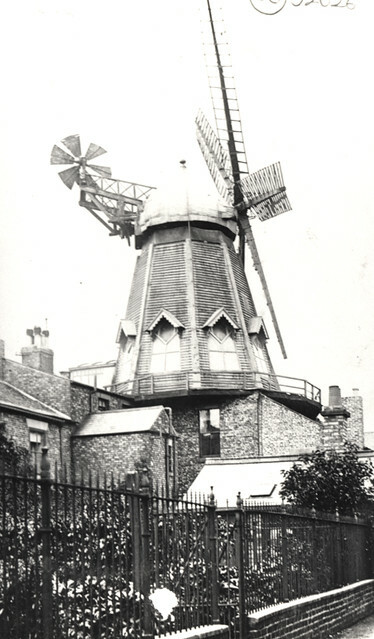 The Club transferred to Gosforth in 1907, after which the windmill's sails and fantail were removed (in 1924 and 1933 respectively), with the windshaft and cap being dismantled and replaced by modern boarding in 1951. 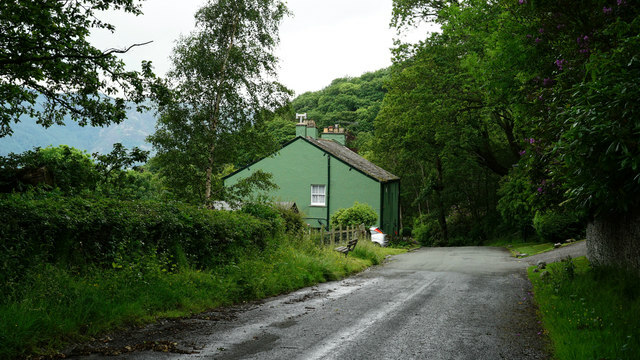 In the mid-1970s the property was bought and restored by the architect Thomas Falconer. 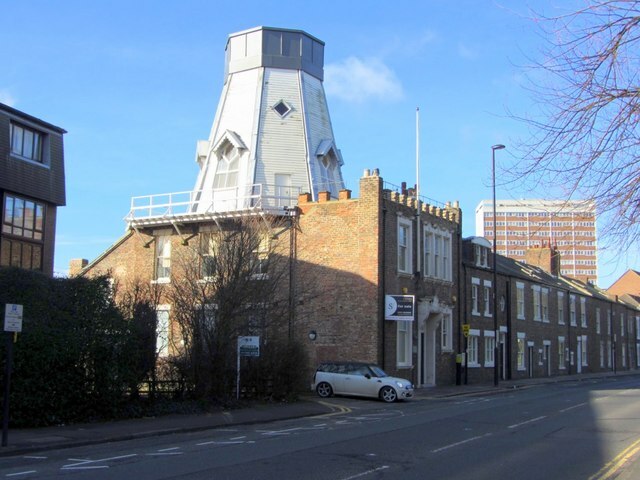 His conversion created a design studio on the top floor, an architect's studio on the first floor and space for rent on the ground floor. 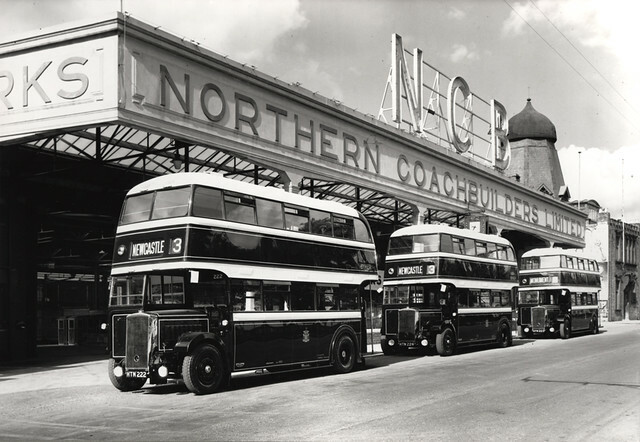 The building has been used as offices for the fashion design company Nigel Cabourn Ltd since 1983. 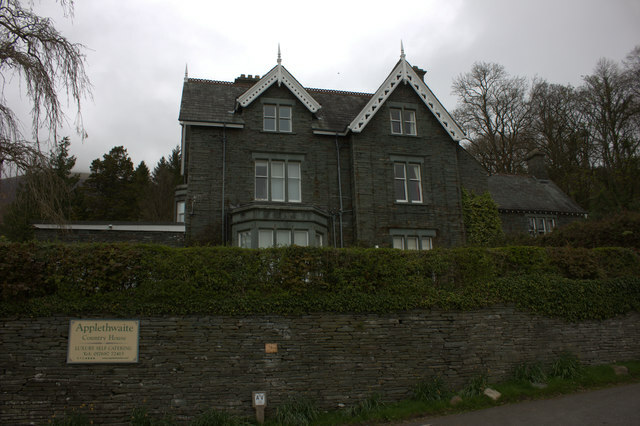 In September 2006, the property was being marketed for sale at a price of £775,000. 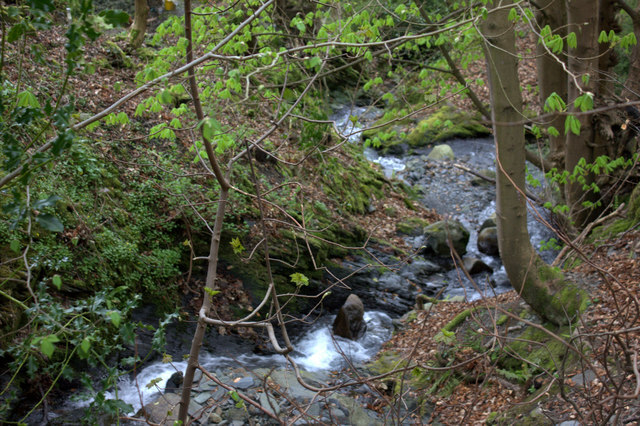 Text from Wikipedia, available under the Creative Commons Attribution-ShareAlike License (accessed: 13/09/2016). 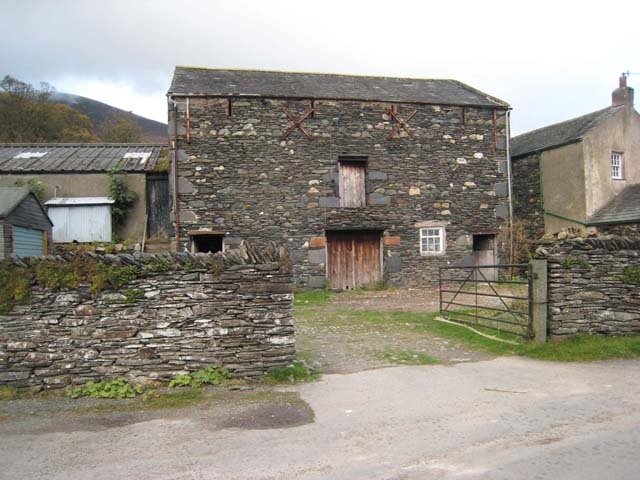 Visit the page: Spital Tongues for references and further details. You can contribute to this article on Wikipedia. 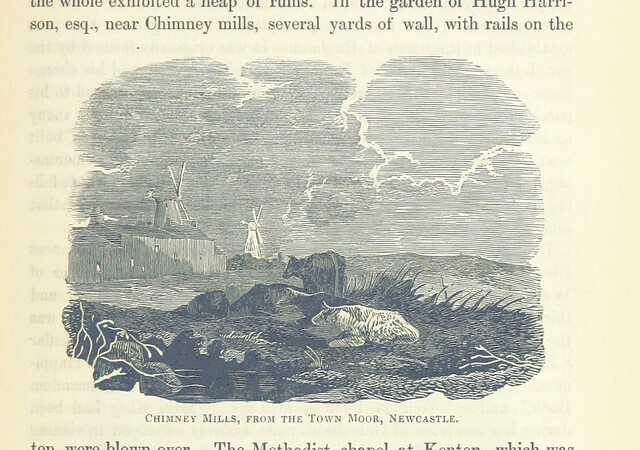 - Article about the windmill, including diagrams.